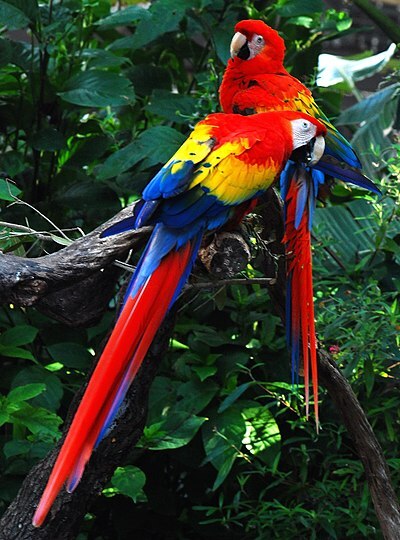 The Scarlet Macaw (Ara macao) is surely one of the most recognizable birds on the planet. Images of this spectacular parrot adorn the brochures and T-shirts of travel agencies, zoos and aviaries worldwide. 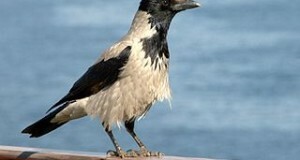 Less well-known, however, is its natural habits and precarious existence in the wild. At 33.5 inches in length, and with a wingspan to match, this deep red (or scarlet! ), yellow-shouldered bird is one of the world’s largest parrots. Its huge range extends from Oaxaca in southern Mexico through Central America to Columbia, Peru, Bolivia and Brazil, and east to French Guiana. 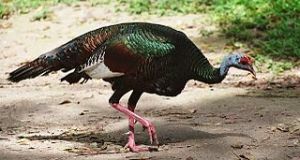 Within this area, however, it is rare or absent from many locales, and may be extinct in El Salvador. Feral populations thrive in Puerto Rico and Florida. 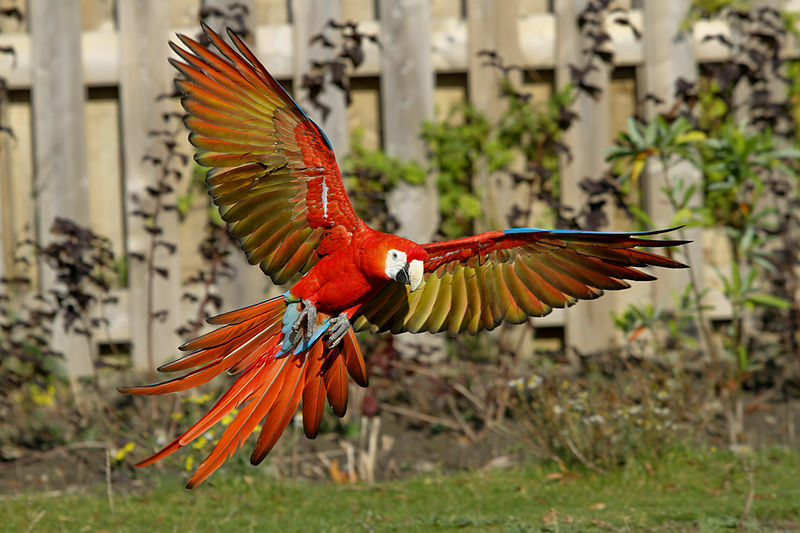 A spectacular appearance, sociable nature and ability to mimic earmarked the Scarlet Macaw for trouble early on. One of the first parrots to be severely impacted by both collection for the pet trade and habitat loss, by the early 1930’s it was already scarce near settled areas in most Central American countries. Today, legal protection, captive breeding and the species’ ability to adapt to habitat disturbance has led to something of a rebound in its numbers, but its future is by no means secure. Originally a bird of forest edges and wooded savannahs, Scarlet Macaws have now learned to utilize farms and relatively open areas as well. Along with this change in behavior has come increased vigilance…they are very wary of people, and take flight (screaming for all they are worth!) at the slightest disturbance. In common with others I have spoken with, my first sighting of wild Scarlet Macaws remains etched firmly in my mind. I was on field research in Venezuela at the time (please see article below) and, despite having worked with macaws for years in captivity, I was simply awe-struck. 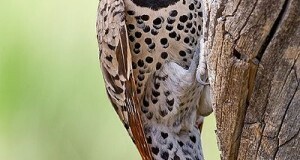 As many have noted, it was indeed quite easy to distinguish mated pairs, even in flight. Paired birds were always in close association with one another, and grooming and squawking went on continuously. Always loud, when startled or “arguing” their voices were truly ear-splitting…those seeking to keep these birds as pets must understand that there is no such think as a healthy yet quiet Scarlet Macaw! Seeing Macaws and other parrots in the wild really brings home to one just how sociable they are. This, and their high level of activity, must be taken into consideration when they are kept in captivity. Without sufficient space, companionship and stimulation, macaws make poor pets. Wild Scarlet Macaws love to bathe and their antics in the rain are said to be very funny. Those I’ve cared for in zoos and aviaries accepted hose-bathing with gusto…several learned to fly to me immediately upon seeing a hose. In fact, by showing 1 pair a hose, I could get them to fly to their bathing site even though it was located away from me, on the other side of their exhibit. This degree of learning ability bodes well for the future of wild Scarlet Macaws…if we give them a hand! For more on wild Scarlet Macaws and the creatures that share their habitat, please see my article Notes on Wild Scarlet Macaws in Venezuela. This following video illustrates how paired wild macaws stay close even in flight; another showing the bright colors of a macaw in flight is posted here.